Gluten Free Cream of Mushroom Soup is easy to make and tastes better than anything from a can. Great gluten free substitute for condensed cream of mushroom soup! Many easy, family friendly comfort food recipes call for cream of mushroom soup. Canned cream of mushroom soups are usually not gluten free, and many of the gluten free canned cream of mushroom soups are expensive. The same is true of many gluten free cream of chicken soups. 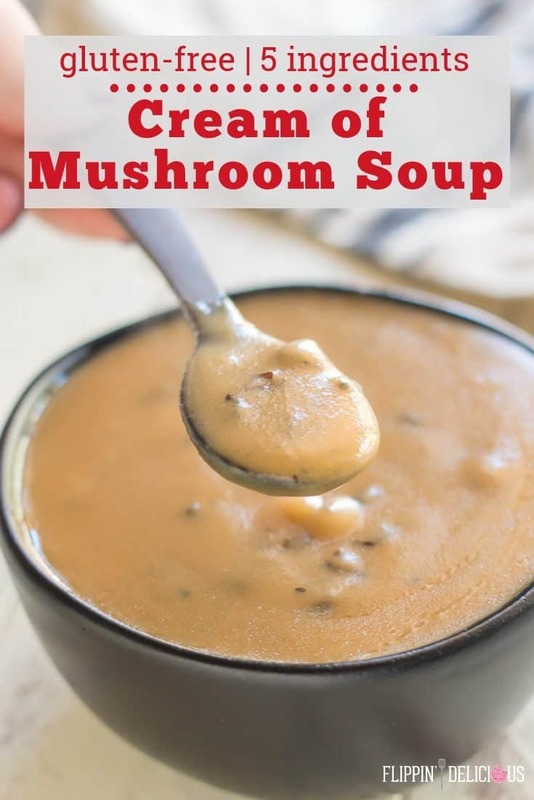 If you want an easy homemade cream of mushroom soup this is the best recipe! You may not know, but I actually went to culinary school. This is how I was taught to make cream of mushroom soup by my chef instructor. Usually cream of mushroom soup starts with a flour roux. Can you make homemade cream of mushroom soup gluten free? The answer is a resounding yes! 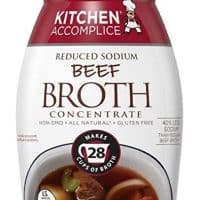 Be sure to use a gluten free flour and double check the ingredients of your broth. 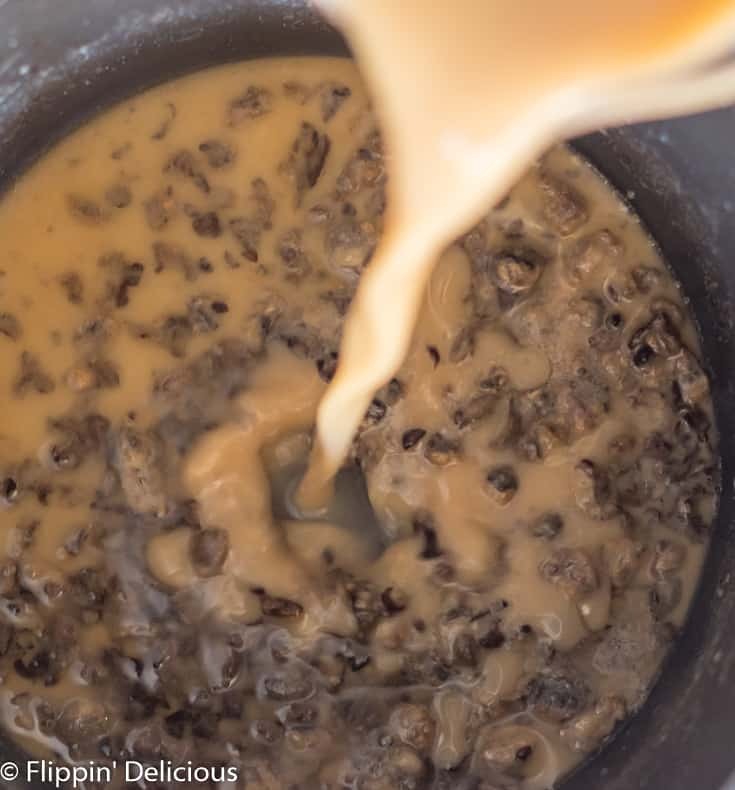 My gluten free cream of mushroom soup recipe is made thick, like a condensed cream of mushroom soup. If you want to enjoy your soup on its own, I suggest adding more milk or broth until it is your preferred consistency. How to make gluten free cream of mushroom soup? Making gluten free cream of mushroom soup is quick and easy. It takes less than ten minutes, and you only need a few ingredients. Oil or butter. I used olive oil because it adds a subtle fruity flavor, and is a healthy cooking oil. If you are making your gluten free cream of mushroom soup with dairy, butter should be your first choice. Mushrooms. I used plain white mushrooms and chopped them finely. If you prefer, you can use sliced mushrooms or coarsely chopped mushrooms. Gluten free flour. The gluten free flour acts as the thickener to make the gluten free roux. 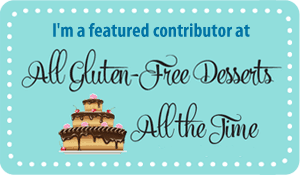 I used my gluten free flour blend, but you can use just rice flour, or any gluten free flour blend in your pantry. 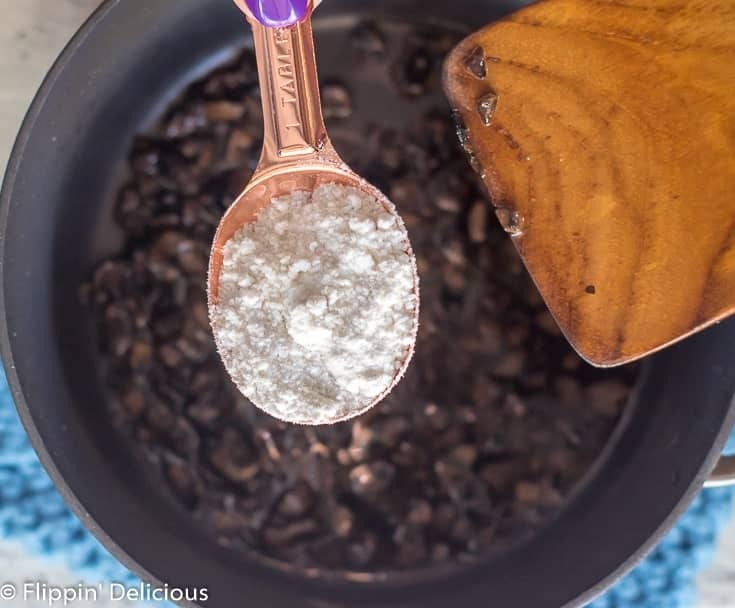 You’ll have best results if you use a gluten free flour that doesn’t have xanthan or guar gum in it. Broth. I used beef broth because I wanted my gluten free condensed cream of mushroom soup to be very meaty. If you prefer, you can use a chicken broth or vegetable broth. To make it vegan, use a vegetable broth. Milk. 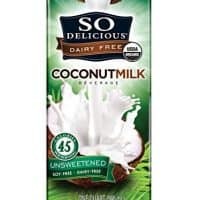 I used an unsweetened plain coconut milk this time, but I’ve used unsweetened plain almond milk in the past. You can also use dairy milk, or lactose free milk. As long as you don’t use a sweetened vanilla flavored milk, you should be set. Salt and pepper. Essential if you don’t want your soup to taste bland. Saute the mushrooms in the oil or butter in a saucepan. 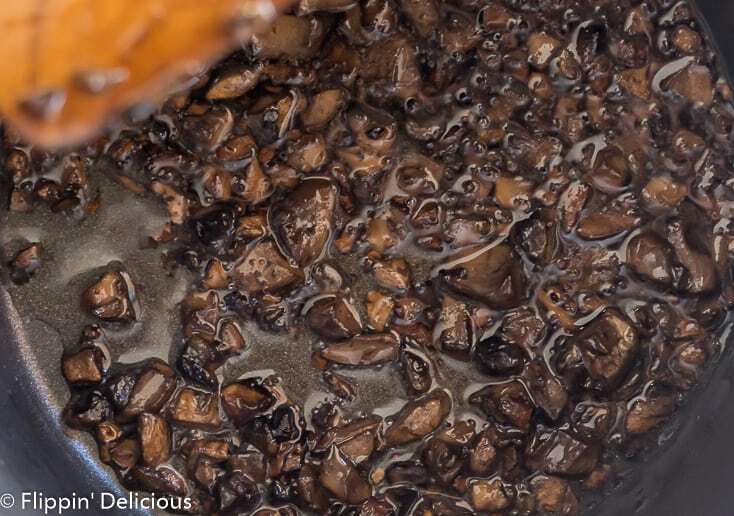 Sauteing your mushrooms adds a lot of flavor to your homemade gluten free mushroom soup. I like to saute my mushrooms until they are golden and fragrant, which will only take a few minutes. 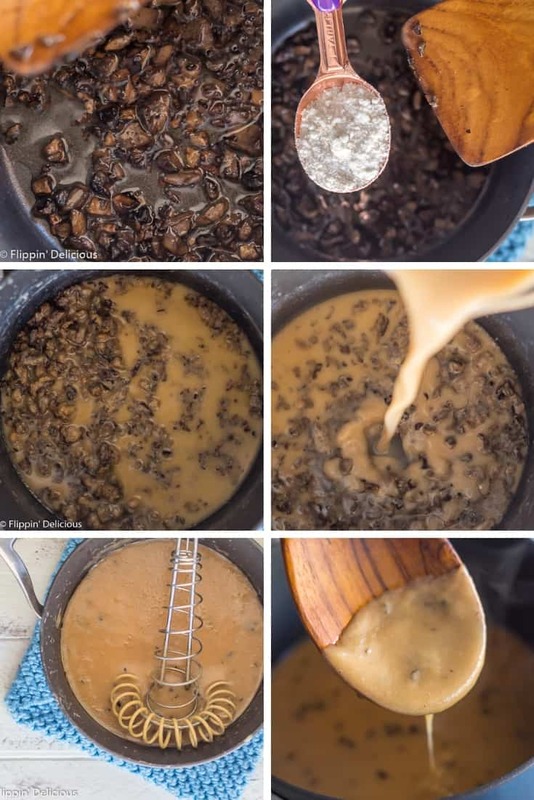 Add your gluten free flour to the oil and mushrooms to make a gluten free roux. Stir the gluten free flour into the fat and cook until it starts to turn golden and smells slightly nutty.You’re still making a blonde roux, and not cooking it to a dark brown color. You want your gluten free roux to have lots of thickening power , while taking advantage of the flavor that you get from toasting the flour. Cooking the flour keeps your gluten free cream of mushroom soup from tasting like a floury paste. Add the broth and milk, while whisking. (If you don’t have a sauce whisk yet, it is totally worth the investment. 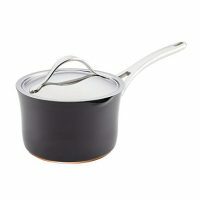 It makes it so easy to get into all the edges of the pan.) It is important to whisk while you add it, so that you don’t end up with clumps. Bring your gluten free mushroom soup up to a simmer, while stirring occasionally. 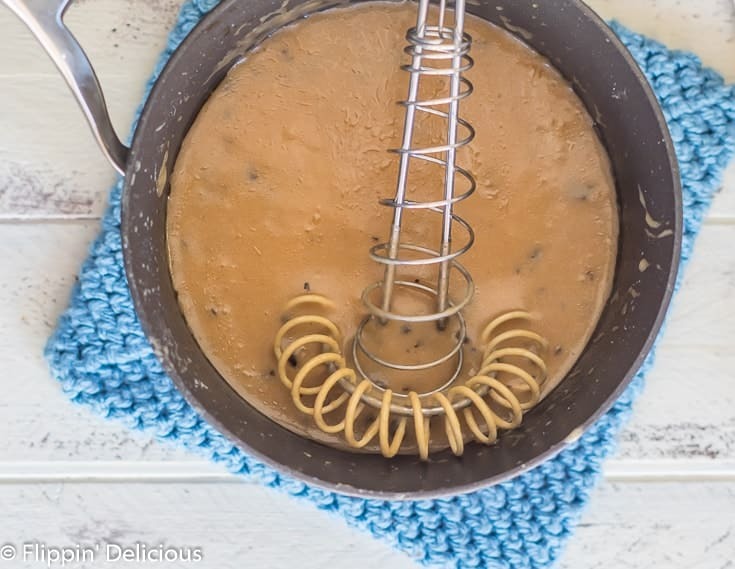 I like using a sauce whisk because I can easily get into the corners of my pan to make sure that it doesn’t stick to the bottom of your saucepan. You’ll know it is ready when it has thickened and coats the back of a wooden spoon. How to use gluten free cream of mushroom soup? 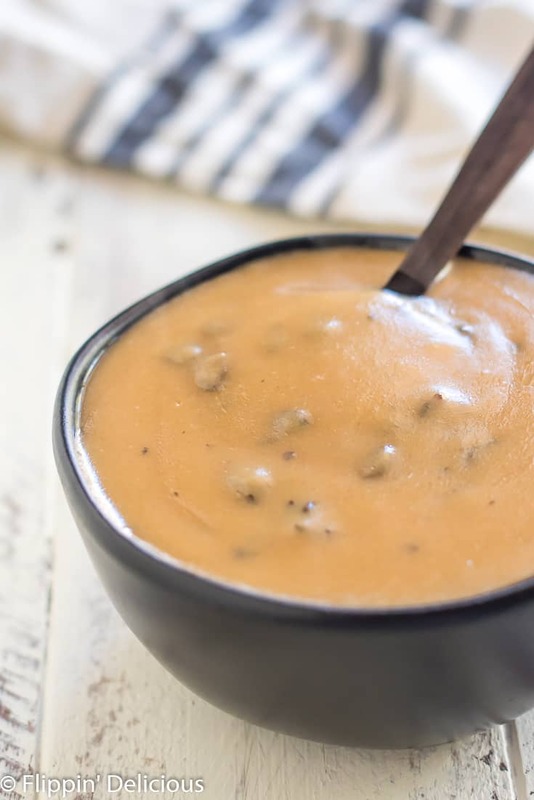 This recipe makes a thicker gluten free soup, similar to a gluten free condensed cream of mushroom soup. 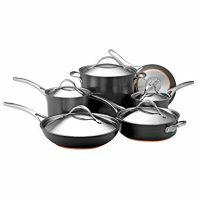 It is perfect for using in all of your favorite creamy casserole recipes. 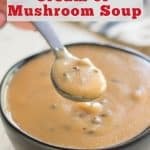 This cream of mushroom soup substitute gluten free makes about the same amount of gluten free mushroom soup that is in a can, so you can easily substitute it in all of your favorite recipes without having leftover cream of mushroom soup. 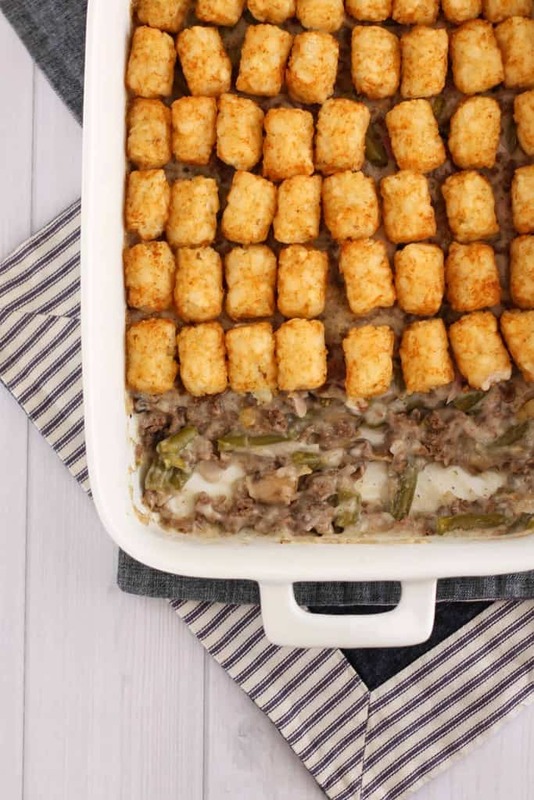 I love using gluten free condensed cream of mushroom soup in my gluten free tater tot casserole and gluten free green bean casserole. 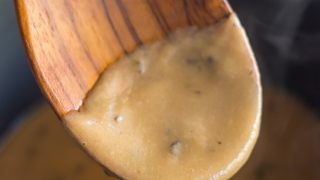 You could also use it as a vegan gravy over my gluten free biscuits. How do you store gluten free cream of mushroom soup? Gluten free cream of mushroom soup can stay fresh in the fridge for up to a week in an airtight container. I’ve used a mason jar, or a plastic airtight container. Can I freeze gluten free cream of mushroom soup? You can absolutely freeze gluten free cream of mushroom soup. In fact, you can make a double or triple batch and freeze it for later, which is a huge time saver. To freeze gluten free cream of mushroom soup, pour the cooled gluten free mushroom soup into freezer bags and squeeze out all the air. Lay flat and freeze until solid, and then you can position your frozen cream of mushroom soup wherever you’d like in the freezer. Let your frozen gluten free mushroom soup thaw completely before using. You can move it to the fridge to thaw if you have 8-24 hours. If you need to quickly thaw your gluten free mushroom soup, place the freezer bag in a bowl with cool water. Refresh the water every 15 minutes or so until it is thawed. You can speed the thawing process up in the microwave. Once your gf mushroom soup has thawed enough to remove from the freezer bag, place the frozen GF mushroom soup in a microwave safe container and heat at 50% power in 30 second increments until thawed. What can you substitute for cream of mushroom soup? 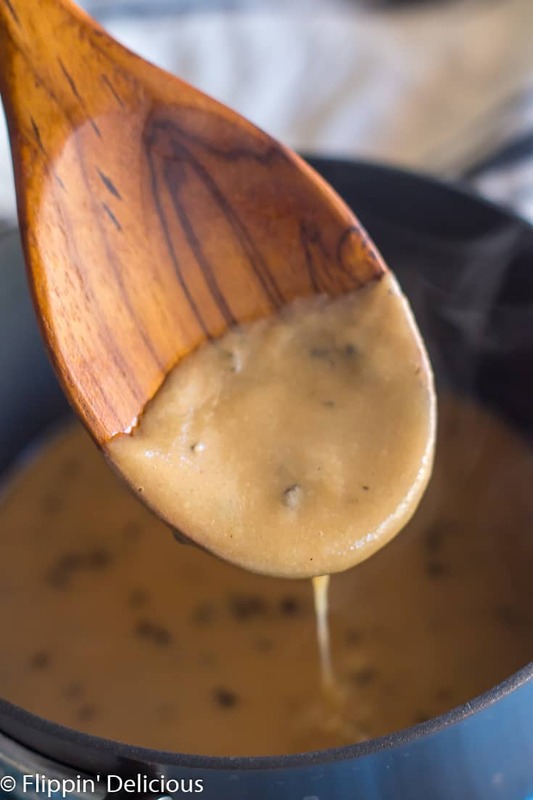 I usually mix up my gluten free condensed cream of mushroom soup recipe really quick, but you can also use gluten free cream of chicken soup, or leftover gluten free gravy. I love my gluten free substitute for cream of mushroom soup! 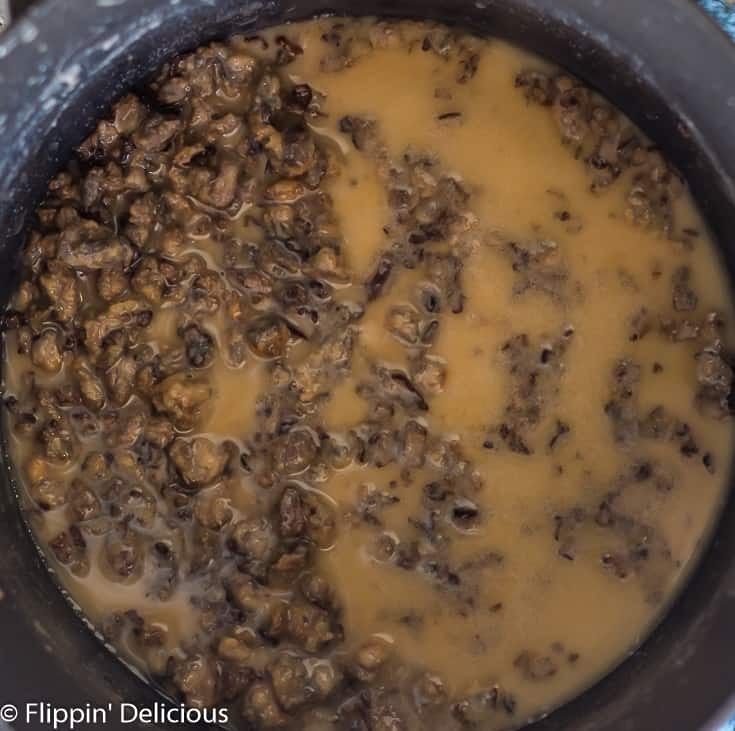 It is better than any cream of mushroom soup in a can because you saute the mushrooms and toast the gluten free flour which adds tons of flavor. How to make gluten free vegan cream of mushroom soup? 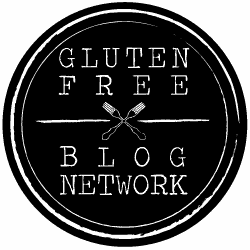 To make vegan gluten free cream of mushroom soup use a dairy free milk, oil, and vegetable broth instead of the non-vegan options in the recipe. Does cream of mushroom soup have dairy in it? Normally cream of mushroom soup has milk or cream in it, so it almost always has dairy in it. That doesn’t have to be the case when you make gluten free mushroom soup yourself! I have used coconut milk and almond milk (unsweetened plain) as the milk to make my gf cream of mushroom soup dairy free. 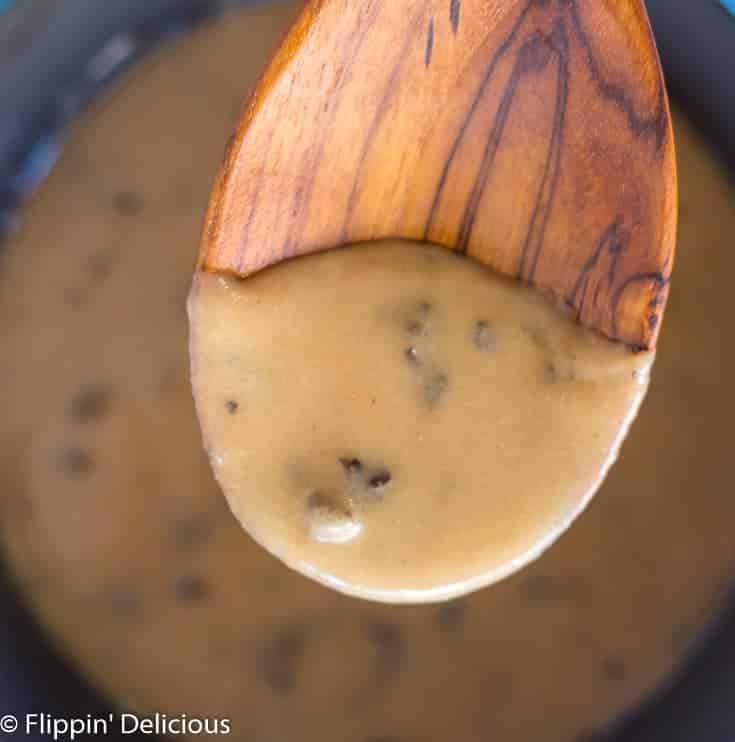 Gluten free dairy free cream of mushroom soup can be every bit as creamy and velvety! 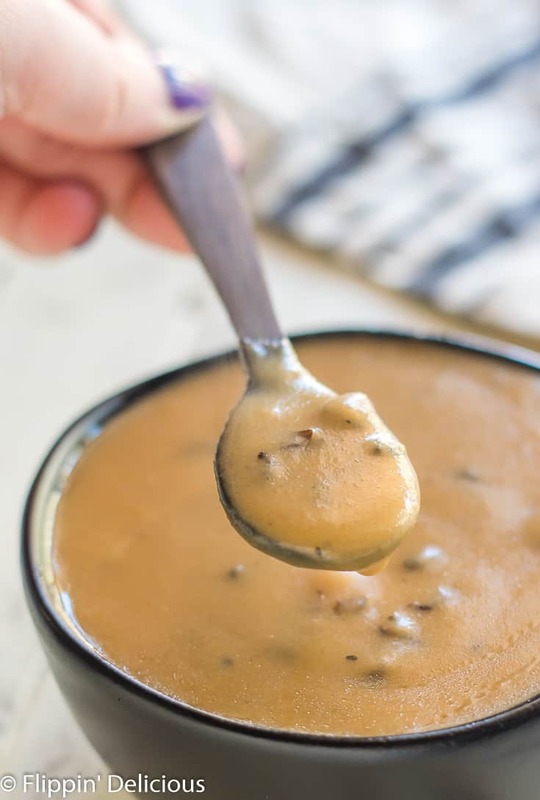 To make your dairy free cream of mushroom soup extra creamy, use canned full-fat coconut milk or coconut cream for the milk in my gluten free mushroom soup recipe. Is canned cream of mushroom soup gluten free? Most canned cream of mushroom soups in the store are not gluten free. Is Campbell’s cream of mushroom soup gluten free? Absolutely not! We are lucky to have a few gluten free canned cream of mushroom soups at our grocery stores, but I still prefer making my own most of the time. Luckily, making your own cream of mushroom soup is quick and easy! Sauté mushrooms in olive oil until fragrant, golden and softened. Add the rice flour (or gluten free flour) and whisk until the flour just starts to brown. Add the broth and milk while whisking and bring to a simmer. I used dairy free milk and olive oil. If you prefer, you can use dairy milk and butter. To make this gluten free cream of mushroom soup vegan, use olive oil, dairy free milk, and a vegetable broth.